The rapper 6ix9ine is hugely famous for his scandalous and surprising image. Since young years his name got to the police chronicle, and the photos of his tattooed face and colorful teeth and hair appeared on the pages of the press. He has presented himself in the music industry quite recently. Also, the young man has already managed to become the center of numerous scandals. 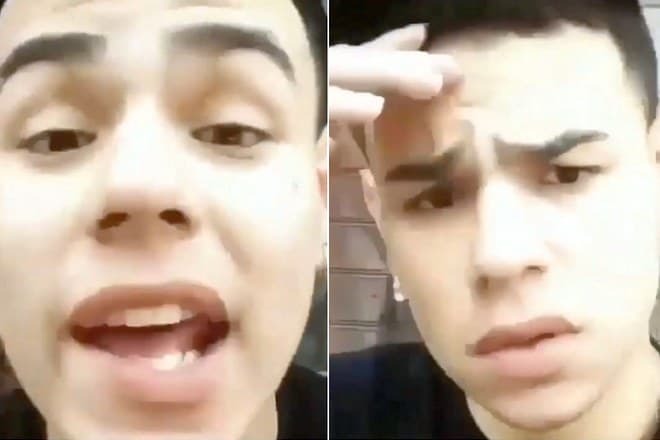 6ix9ine, as well as Teka$hi69, Teka$hi 6ix9ine and Tekashi69, are the pseudonyms of the young American rapper Daniel Hernandez. The boy was born in Brooklyn immigrant working region in May 1996. Rapper's mother is Mexican, and his father is Puerto Rican. His family had such a miserable life that Daniel could entertain himself only with his friends in the street. When his father managed to save some dollars on food, he sent his son to the movie theater to develop the love for art in the boy. At the age of fourteen Hernandez left without his father's guardianship. His father was killed what was somewhat expectable in such unhealthy ambient of the criminal environment. The teenager began to work partly as a waiter at the local cafe. Though he didn’t earn enough and Daniel found another source of income which was profitable and dangerous at the same time. He began to deal drugs. The future rapper didn't avoid the temptation to try the drugs which he was selling. At this period, Hernandez got acquainted with the guy from Japan called Tekashi. He was "a cool guy," and together with him, they used heroin. Nobody knows, why this guy impressed the future celebrity so much. By the words of Daniel, Tekashi69 is the name which he uses most often. 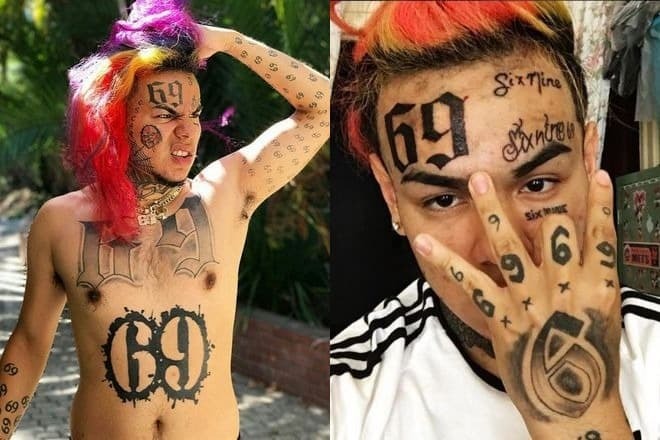 He has taken it in honor of his old friend, and his name 6ix9ine is a nickname for use on the web. In his biography, the rapper has numerous stories connected with the arrests and imprisonment. Except for forbidden drug traffic, the guy was accused of assault and sexual relations with the juvenile. Hernandez had to attend the psychiatrist and got the sentence of 300 o'clock of public works. To avoid subsequent imprisonment, Daniel has made a plea deal and has promised to receive the secondary school leaving certificate as he hadn't graduated from the school by that time. However, nobody knows what the final decision of both sides was. "the boy was playing in gangsters when real bandits were dying in the streets." The scandalous temper doesn't prevent Daniel Hernandez to head the musical charts. Tekashi69 who at that time called himself Wallah Dan began to compose his first songs in 2014 and to publish them in free access on the web. 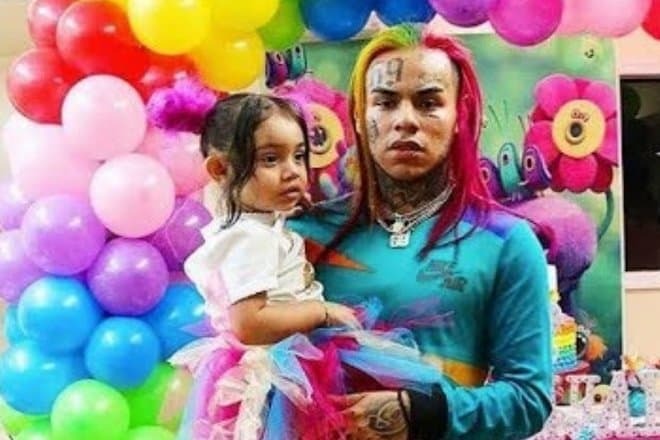 After the compositions "Shinigami," "ScumLife" and "Inferno" the public began to talk about Tekashi as a new name in the hip-hop sphere. "I’ve never lost the sense of my background, what makes me real 69. The true sense of 69 is that if you are right, it doesn't mean that I’m not right. Look at life from my point of view. Turn the 6; it is the same as 9, stay the same from a different perspective". 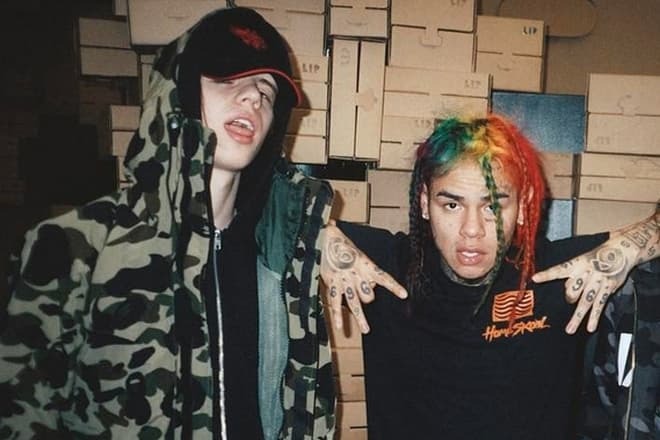 A year later the young American rapper Michael Lamar Whyte who performs under the stage pseudonym of Trippie Redd invited Tekashi69 for cooperation on the release of the album "A Love Letter to You." They have shot the same-name video on their joint music composition called "Poles 1469". However, later the friends have quarreled, and it happened because of Hernandez's passion for the sensations around himself. And these sensations were far from positive. Trippie has called Daniel a gay and a monster and accused him of beating him. Since that time his former colleagues never miss an opportunity to speak out and to criticize each other, without choosing expressions. 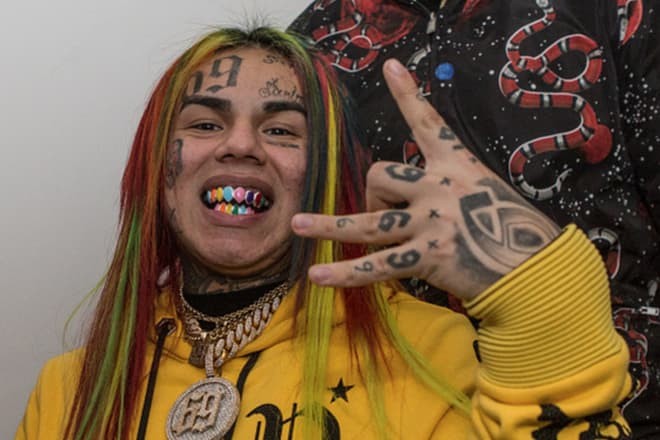 At the end of 2017, the single "Gummo" by 6ix9ine which is considered to be the platinum calling card of the freak rapper got to the 12th position of the American Billboard chart. Two other "golden" tracks "Billy" and "Keke" have steadily settled in TOP 100. 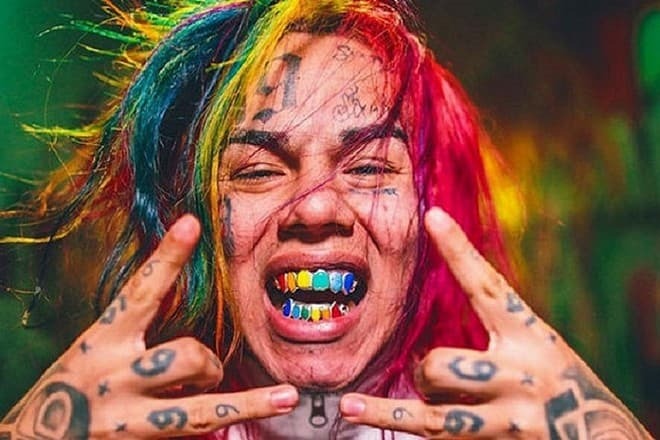 Nobody knows the details of 6ix9ine’s life when he doesn’t perform at the concerts and doesn't fight. Daniel brings up his daughter though her mother isn't the singer's wife. The musician doesn't say anything about his girlfriend. The singer is sympathetic towards children who are offended by their peers. Hernandez even joined the support group called Scum Gang 69 which stands up for the offended children. In addition to the ready ideology of 6ix9ine community, he has integrated his philosophy which consisted of making the lifestyle of the outcasts popular. 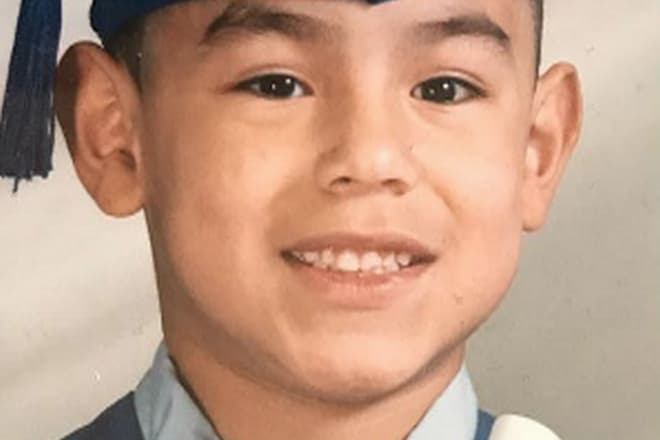 Daniel wanted to express the voices of the children who couldn't come forward, and, as a consequence, it has marked the beginning of his fight for the right to be heard. 6ix9ine spends his spare time in front of FIFA console or practices sports. Hernandez prefers sports clothing style. The artist doesn’t have an athletic figure (he weighs 75 kilos, his growth is 172 cm), but Daniel's body is entirely covered with tattoos, including his favorite image of "69". In his creative work, Daniel amazes the public with the fact that being an adult man he generously uses anime and shots from the video games. By the words of the musician, by this means it’s easier to express the vital things to the minds of the younger generation which studies "some nonsense" at school. The journalists found out that the rapper provides financial support to the educational institution where he had been studying before. Also, he donates money to the people sick with AIDS. In his creative assets, Daniel has one full-fledged studio album under the title of "Day 69" released at the beginning of 2018. This disc includes popular tracks "Gummo" and "Kooda." These song videos have collected two hundred millions viewings on the web. The mixtape has taken the first position in iTunes during the early days after its release. People call Hernandez "a rainbow rapper." He has piqued the interest of his listeners to his person when he has got into a fight at Los Angeles airport. Then there appeared the information that 6ix9ine again got to the prison, this time for the attempt of choking his fan who was trying to take the photo of his idol. As it was said, the rapper has received threats from some gang of the natives of the Dominican Republic. In addition to this situation, there was a rumor that the police stopped the musician's car for some reason and Daniel grabbed the officer’s hand. Under United States law this action amounts to the attack. Hardly was the album released, there appeared inaccurate statements in the comments to the photos on the rapper’s Instagram like "I let people rob me" and "I finish my career because I have achieved everything I desired." By this, the actor has attracted the attention of dishonest people. In July of 2018, Daniel was kidnapped when he was returning home from the studio at night. The criminals took the rapper to his car and visited the musician’s house where at that time there were his daughter and his close friend. They took the things out which were valuable approximately $750 thousand and cash of $20 thousand. Daniel has managed to escape and to stop one more fan of night drives across New York who called the police and the emergency. Shortly before the incident, Hernandez has released the new song video "Fefe" with bright, colorful image and with the participation of Nicki Minaj in the revealing outfit. Russian audience has remembered the rapper for his short video with the rapper called Pharaoh. The colleagues got acquainted with each other in Prague in 2017. Since then their fans all over the world are looking forward to seeing the result of the collaboration of the young representatives of new hip-hop. In May the song "Nobody (Closer)" was uploaded on the rapper’s YouTube channel. All this happened not without trouble: the fans of the South Korean "Winner" band have strikingly caught similarity of Hernandez's track to the "Island" composition. 6ix9ine has a net worth of $4 million.